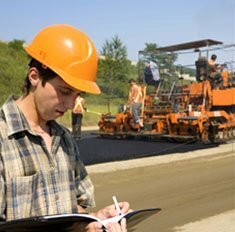 Asphalt - Infoview Systems, Inc.
Our Asphalt Software is a point of sale system that handles both asphalt and counter sales. Customer orders are processed and delivery receipts/tickets are produced. The Asphalt software interfaces with an electronic scale to determine the net weight of the truck's material. The system maintains the tare weight of each truck. A barcode add-in enables unattended scale operation.